"I remember the kindness she showed to me when I first moved..."
"As with others who worked with Jan in Bio-Sciences, I have..."
"I worked in Biological Sciences with Jan a number of years..."
"I worked with Jan at the Division of Biological Sciences at..."
"Mary, I have such fond memories of your Mom! I remember..."
Services for Janice H. Ripley, 87, Lawrence, will be 10 a.m. Monday at Plymouth Congregational Church. Burial will be in Oak Hill Cemetery. Mrs. Ripley died Tuesday, April 10, 2018, at Bridge Haven Village in Lawrence. She was born March 22, 1931, in Yankton, South Dakota, the daughter of Clifford Fred and Thelma Jane Acton Howe. She grew up in Dunlap, Iowa and attended Cornell College. She went on to graduate from the University of Kansas, where she became a lifelong Jayhawk fan. Mrs. Ripley worked for the University of Kansas as a secretary. 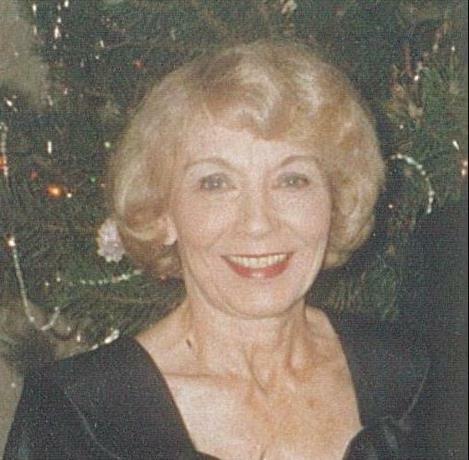 She enjoyed music, dancing, and especially spending time with family and friends. She was a member of Plymouth Congregational Church. She married Joseph M. Wettengel, they later divorced. She married Prescott Ripley, and both of them preceded her in death. Survivors include a son, Joseph H. Wettengel of Lawrence; daughters, Barbara Babcock and husband David of Lawrence, Catherine Ramirez and husband David of Wichita, Mary Neal and husband Tom of Lawrence; grandchildren, Cody Babcock of Lawrence, Jami Viner and husband Trent of Cheney, KS, Kelie Eck of Wichita, Kristen Ramirez of Wichita, Matthew Shipley of Hibbing, MN; great grandchildren, Aiden, Kensley, Cameron, and Brylie; brother, David Howe and wife Linda of Greenbank, WA; sister, Joan Bilderback of Woodstock, IL; many nieces, nephews, extended family, and friends. Friends may call from 9 a.m. to 8 p.m. Sunday at Rumsey-Yost Funeral Home, where the family will receive them from 3 p.m. to 5 p.m. Sunday. The family suggests memorial contributions to The University of Kansas Alzheimer's Disease Center or the donor's choice of charity, sent in care of the funeral home.